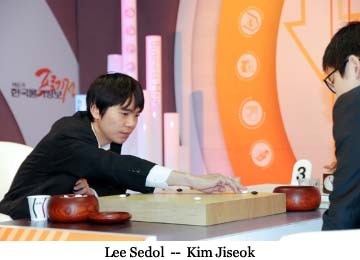 Lee Sedol 9P advanced to the finals of the Price Information Cup after defeating Kim Jiseok 7P by resignation after just 114 moves in the final game of League B play. Jiseok, who has experienced a bumpy start this year, was last year’s Price Information Cup winner. Lee Changho and Yoo Changhyuk will play the final league game on May 26th.